Every now and then there is that film — that script — that is so out there that it takes on a life of its own. We are talking about Nazi zombies, of course! That was the hook for Norwegian filmmaker Tommy Wirkola’s 2009 breakout film Dead Snow. He combined the old standby of teens assembling in some remote area (read that as the victim pool), where they come face to face with some horrible murdering menace. They encounter frozen Nazis (relics of WWII) and not just any Nazis, but elite SS Nazis who are now flesh-eating zombies. 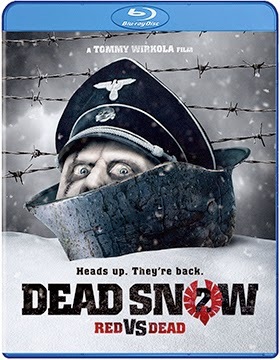 Splatter, snow, nubile victims, zombies and it didn’t even matter that Dead Snow was in Norwegian. It’s taken awhile, but such a devilishly delightful dance deserves another spin. 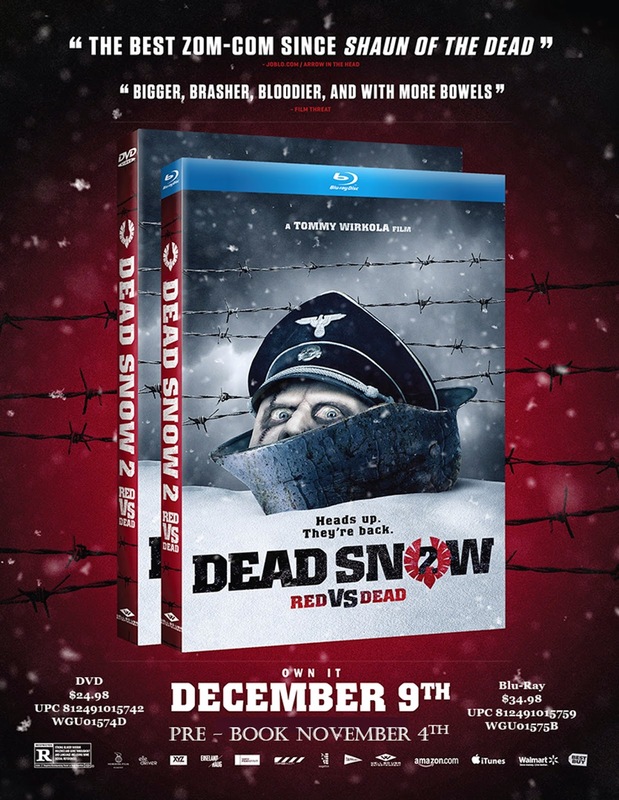 On Dec. 9 the only survivor from the first film, Martin (Vegar Hoel), returns to battle the undead once again — and miraculously all in one piece — in the Well Go U.S.A. DVD and Blu-ray debut of Dead Snow: Red vs. Dead on Dec. 9. So too is Standartenführer Herzog (Orjan Gamst), whose mission is to carry out his 70-year-old assignment and decimate the town of Oksfjord. With the locals not believing Martin’s wild tale (come on, Nazi zombies, please), he must recruit his own army to stop the advancing invasion! Update: Bonus goodies include commentary from director Tommy Wirkola and a VFX featurette ... exclusive to the Blu-ray SKU are an alternative international cut of the film and the short film titled Armen. At last! At last! The late auteur filmmaker Robert Altman’s long sought-after 1982 film adaptation of Ed Graczyk’s stage play, Come Back to the 5 & Dime, Jimmy Dean, Jimmy Dean will be released as both DVD and Blu-ray product offerings by Olive Films on Nov. 18! Not only will this news please fans of filmmaker Robert Altman, but there are literally legions of adoring fans of the various cast members that Altman assembled for this film (geeze, this guy had a gift for that, didn’t he!). Are you ready? 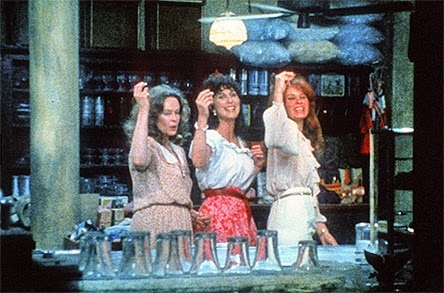 Cher (future Oscar-winner for Best Actress in Moonstruck), the late Karen Black (Oscar-nominee for Best Actress, Five Easy Pieces), Sandy Dennis (Oscar-winner for Best Supporting Actress in Who's Afraid of Virginia Woolf?) and Kathy Bates (future Oscar-winner for Best Actress in Misery) are the marquee names, but Sudie Bond (perhaps best remembered as “Mama” Velma Castleberry for the Flo TV sitcom, plus such films as They Might be Giants, Cold Turkey and Love Story) more than holds her own as the store owner where the “reunion” takes place. September 30, 1955 is the day that James Dean died in an auto accident just outside of Paso Robles, California … it is now 20 years later and fans — they call themselves the “Disciples of James Dean” — of the actor are gathering for a reunion to honor his memory. They are, however, not gathering anywhere near Paso Robles, but at an aging Woolworth’s (a “five and dime”) in a remote corner of Texas. Why there? It’s the closest place they could find to Marta, which just so happened to be the shooting location for Dean’s 1956 film release of Giant (released theatrically a full year after his death) … which is a whole other story onto itself. 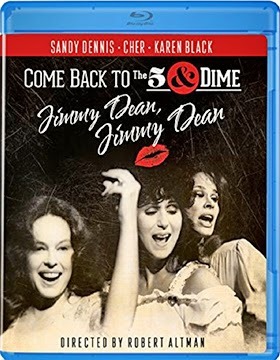 Through flashbacks and character dialog (this is, after all, an adaptation of a stage play) we learn secrets — especially about Karen Black’s character, Joanne, and her relationship to Mona (Sandy Dennis) — about the various members of the group. This restored version of the film was completed in 2011 by the UCLA Film & Television Archive and should look absolutely gorgeous on both DVD and Blu-ray. Bonus goodies include a newly-prepared video conversation with writer Ed Graczyk, who both wrote the original state play and then adapted that play for the screen. 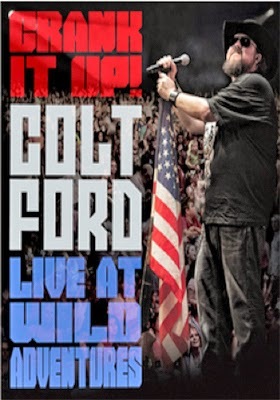 Country recording artist and songsmith Colt Ford, after five successful albums and more miles on the road touring than a long-haul trucker, will be making his way to the home entertainment market place on Nov. 11 with the release of his debut DVD, Crank it Up! 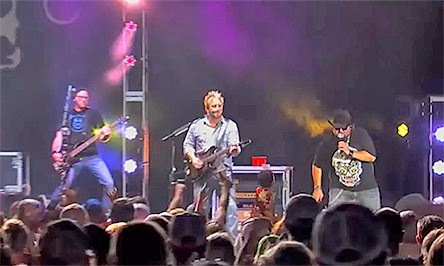 — Colt Ford: Live at Wild Adventures. This Eagle Rock Entertainment-produced event features over two hours of Ford in concert this past August from the Wild Adventures Park in Valdosta, Georgia, where he served-up a fan-pleasing 19-song set, plus a medley of country ditties penned by Ford. Bonus features include ten webisode segments from his Mr. Goodtime TV series — where you just need to remember three things … Chicks, Trucks and Beer — and a behind the scenes featurette. Also new to Eagle Rock Entertainment’s November release calendar is the Nov. 25 DVD and Blu-ray debut of Jeff Beck: Live in Tokyo. Filmed in April of this year at the Tokyo Dome City Hall, this concert featured a blend of Beck standards — “Stratus,” “Led Boots,” “Cause We Ended as Lovers,” “Big Block,” “A Day in the Life,” and “Rollin’ and Tumblin’” — plus new material performed live here for the first time. 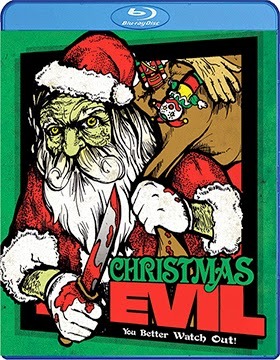 Vinegar Syndrome announced this past week that writer/director Lewis Jackson’s 1980 cult horror gem, Christmas Evil, will be available at retail on Nov. 18 as a Blu-ray/DVD Combo Pack. Little Harry sees mom doing the nasty with Santa Claus (actually his father) one Christmas Eve and his little brain just snaps. Skip ahead a few years and he is now an adult (played by Brandon Maggart — The World According to Garp, Dressed to Kill … and as Lou in the Brothers television series) who has become obsessed with Santa Claus and Christmas. 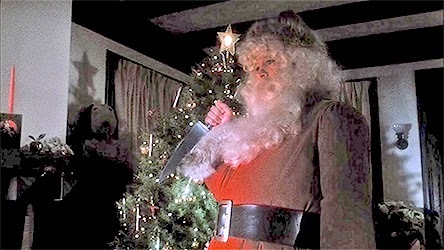 Now these “deliveries” range from delivering stolen toys (from Jolly Dreams) to those that deserve toys to grisly murders as the ever-increasing unhinged Harry/Santa makes his rounds. Of course he is misunderstood! The ending is a classic that combines the visual elements of director James Whale’s Frankenstein torch-bearing mob (in pursuit of the “monster”) with Harry’s “sleigh” (sans reindeers) taking wing … and to all a good night! Bonus features for this new 4k transfer for original 35mm source material includes not one, but three separate commentary tracks — filmmaker Lewis Jackson, Jackson with the film’s star, Brandon Maggart and last, but not least, Jackson with auteur filmmaker John Waters, which is a commentary track that should not be missed!!! — plus there are deleted scenes, vintage video interview with Jackson and Maggart and storyboards. Actor and filmmaker Thomas Carter’s latest feel-good sports tale — the film adaptation of writer Neil Hayes’ book of the same name — When the Game Stands Tall, will be released on Dec. 9 as DVD and Blu-ray/DVD Combo Pack (with UltraViolet) product offerings by Sony Pictures Home Entertainment. The ARR is 109 days and ticket sales currently stand at $29.6 million. 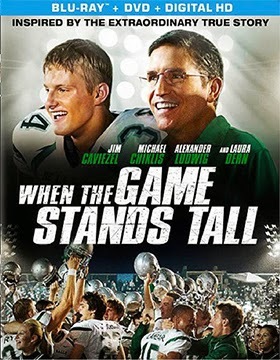 The true story of De La Salle High School’s football coach, Bob Ladouceur (played by Jim Caviezel), and the longest winning streak is history (151 games) is documented in this emotionally charged sports biopic. No word just yet on bonus goodies that might be included with either the DVD or Blu-ray SKUs.